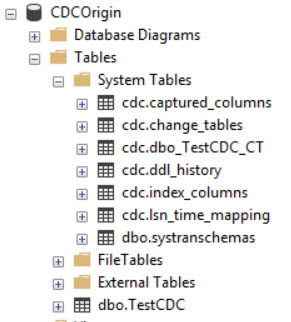 To resolve the issue, we need to change the owner of database and then enable CDC for the database as below. Please note that, the database would have restored irrespective of the error. You just have to run the below statement to avoid similar issues in future. Sometimes, the error messages generated are not friendly to understand the underlined issues. This is going to be an extra effort to google out for most of us with the error code (mostly a hexa value) and identify the corresponding windows error message. A simple solution would be to use NET HELPMSG with the errocode. But if the error code is a hexa value, then we need to identify the corresponding Decimal value to use as a parameter to NET HELPMSG. Here is a script to identify actual error message from hex error code. This is important to be aware that this approach will only work for Win32 error codes from Microsoft Windows. If the net helpmsg command does not return a result, the cause is likely the error has not originated from Windows, or no longer a valid Win32 process. This post is to answer a question by Mr. Q (I am masking the name of the reader as it does not really matter) as he was trying to use the script in “T-SQL Script to restore backup files from a folder in SQL Server“. Once, I had a detailed chat with on the error, I understood that Mr.Q was trying to use the script with SQL Login which is not a sysadmin.Hence, he was not able to successfully execute it. The xp_cmdshell proxy account information cannot be retrieved or is invalid. Verify that the ‘##xp_cmdshell_proxy_account##’ credential exists and contains valid information. This is because the user is not a member of sysadmin fixed server role. In this case, xp_cmdshell tries to connect to Windows by using a windows account stored in the credential named ##xp_cmdshell_proxy_account##. If this proxy credential has not provided, xp_cmdshell will fail again. The proxy account credential can be created by executing sp_xp_cmdshell_proxy_account. This stored procedure takes a Windows user name and password as arguments to the procedure. With these changes, the query worked for him and he was happy! While I am trying to configure Always Encrypted for one of my databases, I received an error as below. Error SQL71561: Error validating element [dbo]. [ViewTableName]: View: [dbo]. [ViewTableName] has an unresolved reference to object [DBName].[dbo].[TableName]. In fact, looking at the wizard error log report, I have seen hundreds of error messages similar to above for different elements. While investigating, it is found that the error has raised due to the usage of three part reference in one of views. And it is confirmed by Microsoft that its a bug in the Always Encrypted tool that it performs a strict integrity verification for the entire database schema instead of the targeted verification, that means, only for the columns to be encrypted. To solve the problem, you need to make sure the referenced objects are present in your environment. In my case, I copied all dependent databases in testing environment and followed the below steps. Use Generate Scripts(right click on the database, select Generate Scripts in the Tasks, in the wizard, we can select View) to back up the view. Drop all the selected views which use the three-part naming conventions. Apply always encrypt feature to columns. When I tried to replicate the same issue in another environment with the below configuration, the above issue could not be replicated. --Apply "Always Encrypted", you will see the mentioned behavior.